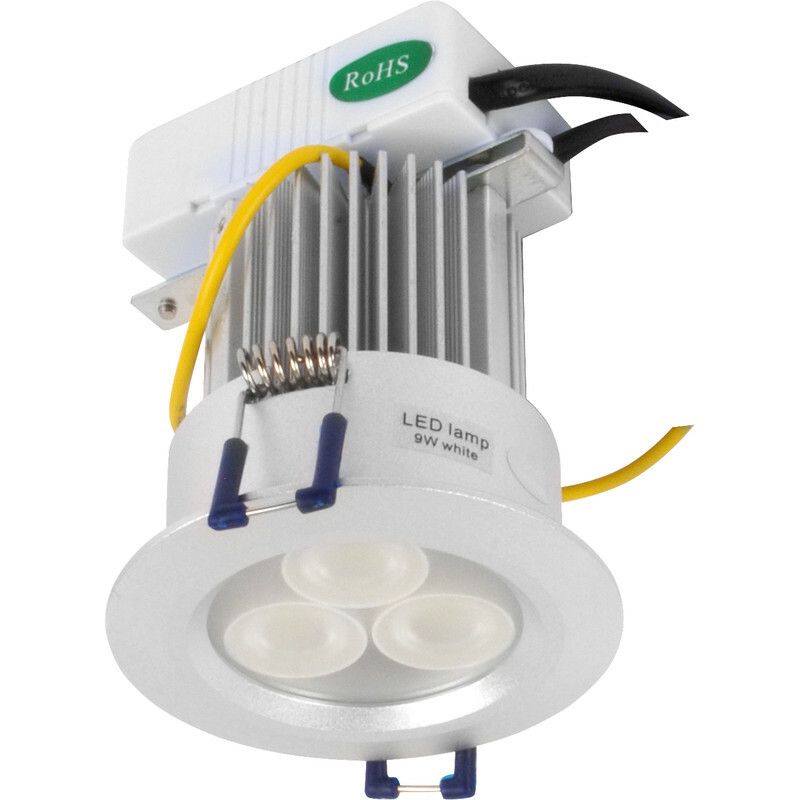 High power non dimmable LED fitting. Equivalent to 50W. This luminaire contains a built-in non replaceable LED lamp energy class A. Meridian Lighting. LED 9W High Power IP54 Downlight Satin Chrome 410lm is rated 4.9 out of 5 by 9. Rated 5 out of 5 by Grant1963 from Absolutely amazing Been using these for 5+ years. Give out a fantastic bright light. Great value. Please don’t discontinue. Rated 5 out of 5 by Dean54 from Great led light I have brought 8 of these lights and have only had a problem with one after 2 years . Rated 4 out of 5 by Fatman60 from Good lights. Purchased about 2 weeks back. We are very happy with the results. Let's hope it lasts long. Rated 5 out of 5 by Ranjitt from Very Good I have bought 18 of these to replace in the kitchen and bathroom. They are so good, easy to fit and strongly made. I recommend these lights. Rated 5 out of 5 by sol1951 from Bright Lights I bought this as a spare for my bathroom where i have 6 fitted, they give a great light and look good. Rated 5 out of 5 by Hopkins from Bright Easy to fit, looks good and performs well.....have fitted many of these not only for myself but also customers.